Upload Content | MBA Skool-Study.Learn.Share. 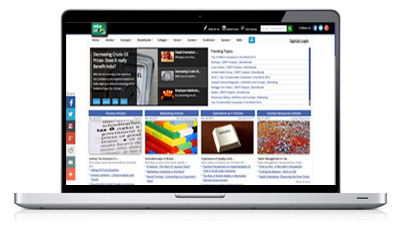 MBASkool contains diverse content spread across business articles, concepts, brand lists & popular content. If you think you can write an engaging and meaningful article/concept, then submit it to us. Our team will review and publish it. Are you a master of brands? Are you good at analyzing brands, competition analysis? Are you good at seeing the strengths of brands? If Yes, Analyse a brand as per our BrandGuide Section and Submit to us.